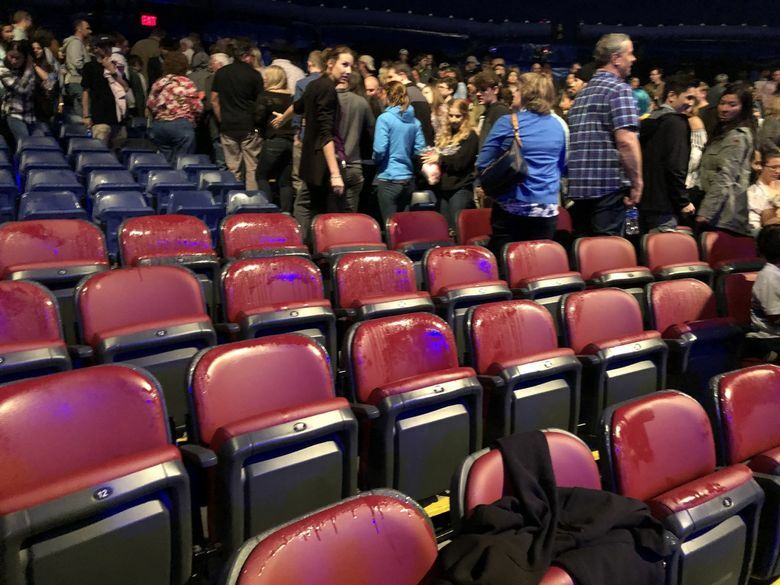 Jonathan Fay, who was sitting four rows from the front, said the show was 30 minutes in when a liquid from the stage sprayed the audience. The show was cancelled shortly after that. The opening show for Cirque du Soleil’s VOLTA show at Redmond’s Marymoor Park was abruptly canceled Friday night after liquid from below the stage sprayed the audience. The Redmond Fire Department was at the scene, but could not immediately be reached for comment. King County sheriff’s spokeswoman Sgt. Cynthia Sampson said two deputies went to the venue and found no serious injuries. At first an automated announcement said the show was temporarily suspended, then it was indefinitely suspended, until eventually a live voice said the show was canceled and asked viewers to collect a pamphlet at the concession stand with instructions on how to proceed. Fay said the flyer said all who purchased tickets with a credit card would be receive refunds. “Up until that point it was absolutely spectacular; I was looking forward to seeing the rest of the show and will definitely come back,” Fay said. Cirque du Soleil was not immediately available for comment.